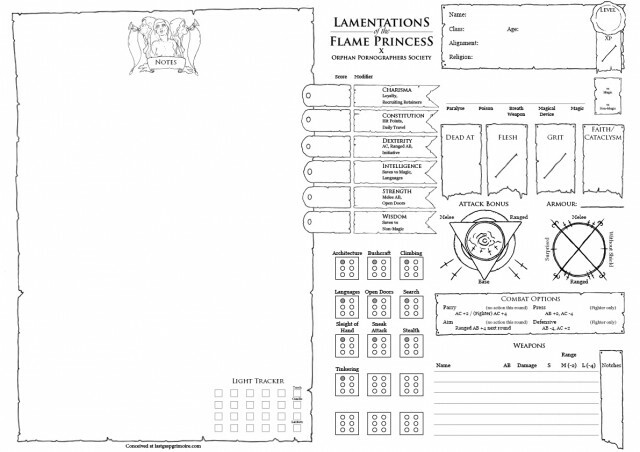 Fold-over Lamentations of the Flame Princess character sheets are available in Penny Pamphlets, as well as some simple henchman sheets for the guy you’re going to be after your current character swells and explodes in vibrant fungal agony. They’re designed to use my house rules, but if you don’t want to use those rules, uh too bad? I really like these sheets. Lots of practical little features added and enough custom artwork to really stand out. I’ve got to ask though, what sized paper do you print these on? When I tried it out on my standard 8.5 x 11 it all seemed just a little to small to be practical. 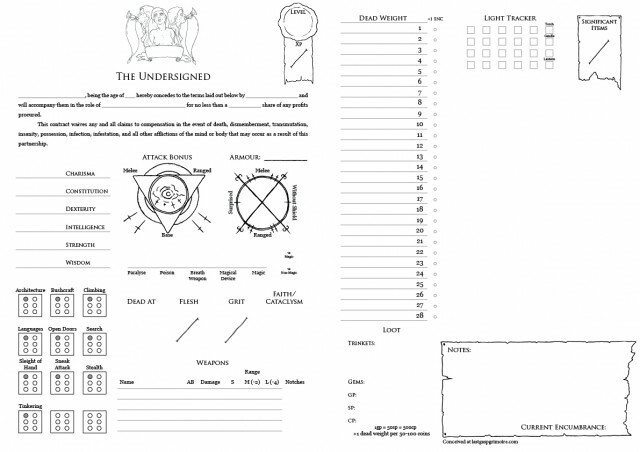 Perhaps I’m spoiled by the big fonts on the normal LotFP sheet is all, but I figured it was worth asking. We’re Australian so it was designed to be printed at A4 (which makes it a perfect A5 when folded). Your printer is probably shrinking it lengthways to fit which would jack it up, the smallest font is 8pt which should be completely legible for the more inconsequential things. 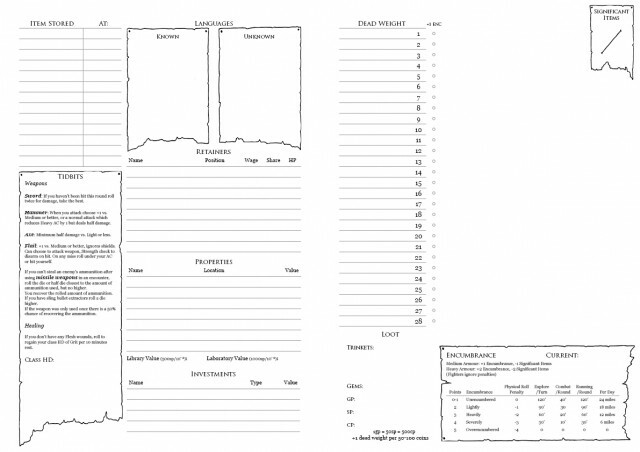 In fact I think my font sizes pretty much match the LotFP sheet. I’ma hit you up on Google+ and see if we can fix this. With science.